With a string of sell out shows the length and breadth of the country, including London’s iconic Scala, Purple Rain delivers a non-stop, hit packed show, spanning more than two hours. The band are comprised of Prince fans and professional musicians from all over country, who have individually performed alongside artists such as Ed Sheeran, Jean-Michel Jarre and Kim Wilde. I was playing in a covers band at a local venue and my friend Adrian, who ran the venue, knew I was a massive Prince fan and challenged me to put a Prince tribute show on for New Year’s Eve…6 weeks later was the band’s first gig, that was 12 years ago! What is your favourite Prince song to perform? There are so many that I love…Controversy is always fun, everyone’s part is pretty simple, but put them all together and it’s so funky! Purple Rain never gets any less emotional and amazing…too many hits! What’s the most unusual thing that’s happened at a Purple Rain show? When we were at Leicester De Montford Hall earlier this year, Emma picked this little lad out of the crowd who wanted to get on stage…as soon as he was up there he took over with this insane Michael Jackson dance routine! It was incredible! He was only about 7 or 8, and I’m sure people thought it was planned! Also, a few years ago we were playing a fan club party on a boat on the Thames, and a middle-aged man wearing a lime-green mankini came and gave me a hug mid-set! 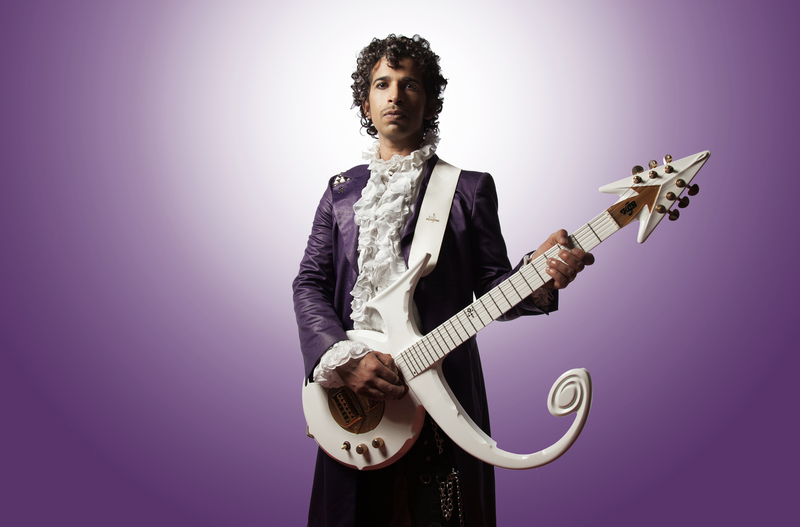 Tickets for Purple Rain: A Celebration of Prince are available from our website here, by phone on 01249 446699 and in person at Chippenham Town Hall.